“Standing in the Need of Prayer” will be featured as part of the dramatic “Reading Series” at the D.C. Black Theatre Festival in our nation’s capital. Pre- Women’s Day Speaker and presentation of the monologue series: “Women of the Bible Speak” at 9:00 a.m.
“Women in Red” – Women’s Day Speaker and presentation of the monologue series: “Women of the Bible Speak” at 3:00 p.m.
“Daddy’s Girl Empowerment Summit”, a FREE half-day conference for pre-teen and teen girls, ages 10-17, who are being raised without their father. Lunch is included and mothers are invited and encouraged to attend relevant workshops – specifically designed for them – with topics such as “How to Budget With More Month Than Money”, “Self-Care Is Not Selfish”, and others. Inspiring speakers will engage teens and boost their steem and bolster their self-confidence. Some topics for teens include: Bully Prevention and Teen Dating Violence and Tools to Overcome Peer Pressure, among others. Compton Mayor Aja Brown will be the keynote speaker. Please register by email: SummitRegistration@yahoo.com or by calling (310) 818-3662. 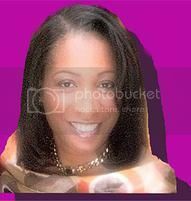 Host/facilitator: Sharon Y. Judie. If you would like to host a “Daddy’s Girl Empowerment Summit” at your church or community center, please call (310) 818-3662 or email: Sharon.Judie@gmail.com. For further info on any events described below, please call (310) 818-3662. 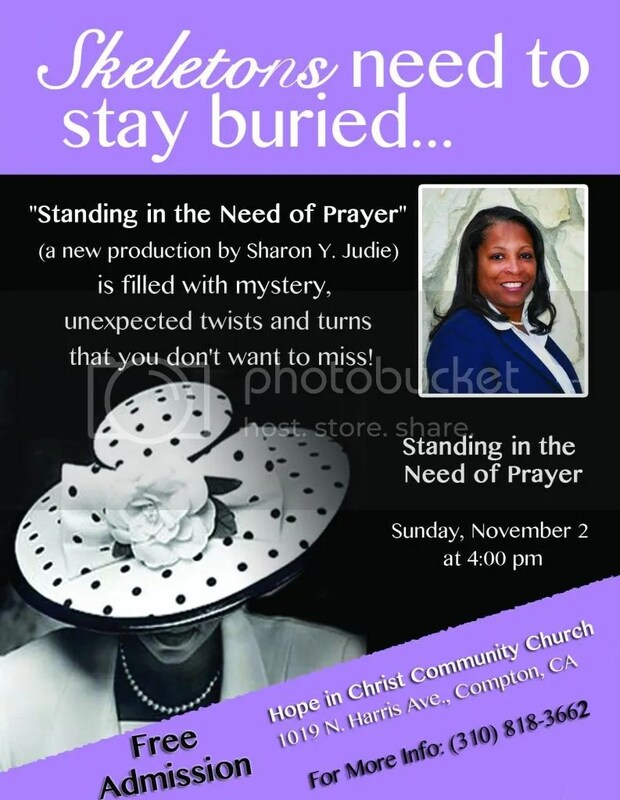 Don’t miss the new play, “Standing In The Need of Prayer”: a story of love and betrayal, forgiveness and deception, debuting on Sunday, November 2nd at 4 p.m..
Come out and enjoy good music and great acting by Datosha Williams, Andre Jefferson, Rayshawn Chism, , Lomita Martin, Doris Tipton, Carl Judie, Iberia Wilson, Howard Simon, Katrina McCray, and Vera Douglas. (Directed by Lana Henderson). Bring a friend to Hope in Christ Community, 1019 N. Harris Ave., Compton. Doors open at 3 p.m. Arrive early for good seat. FREE admission.